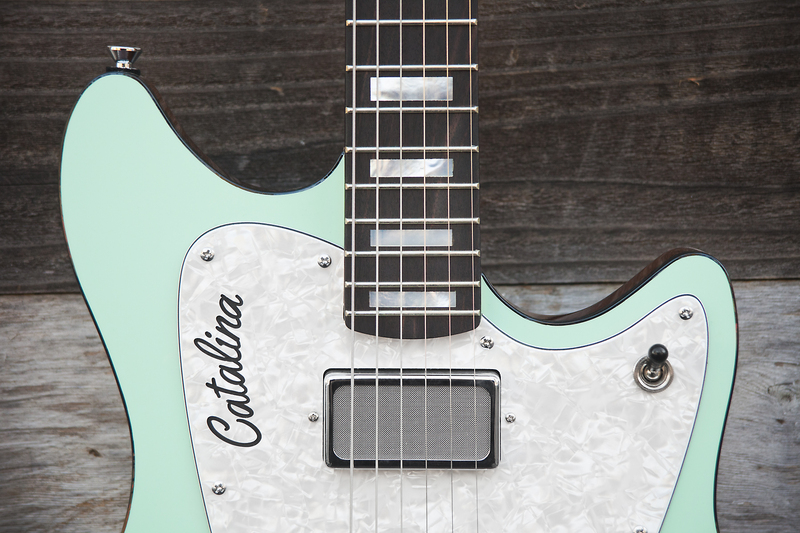 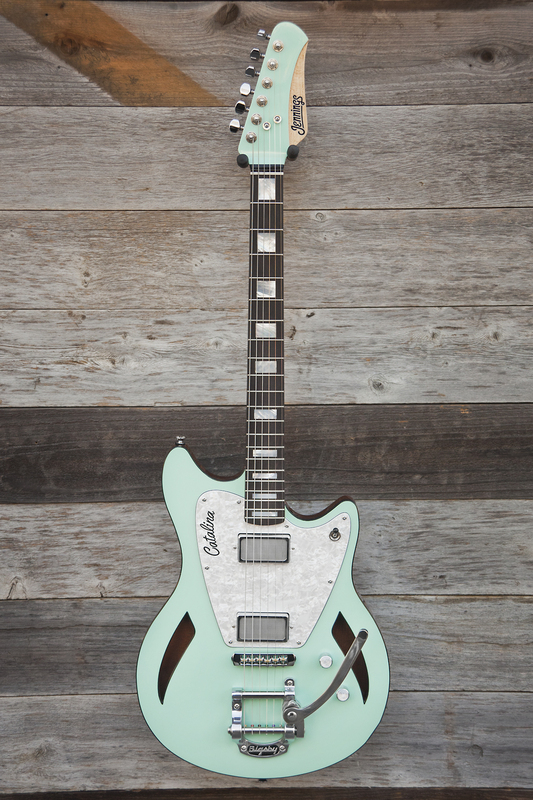 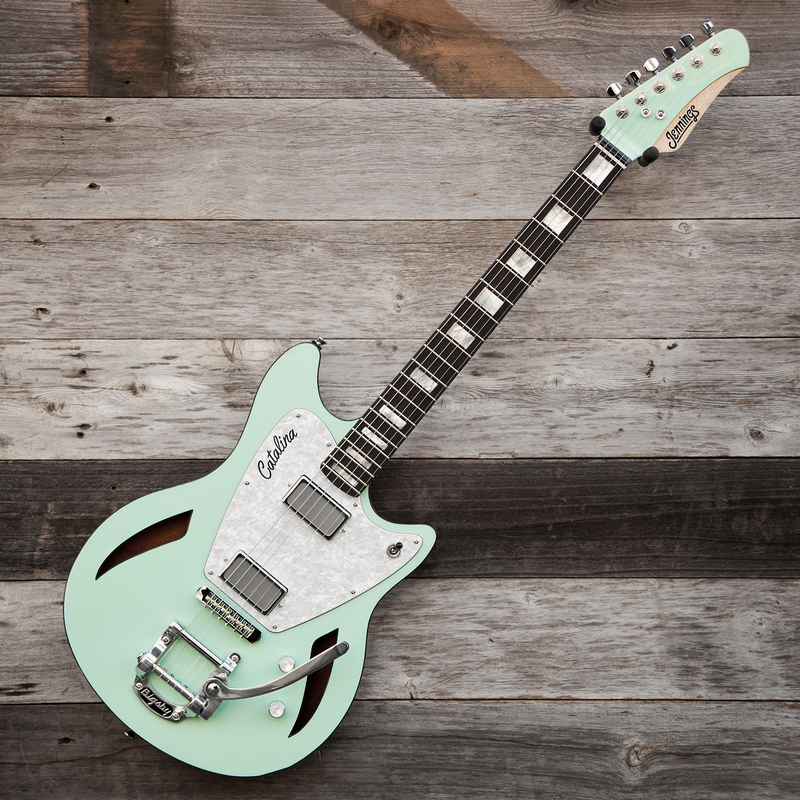 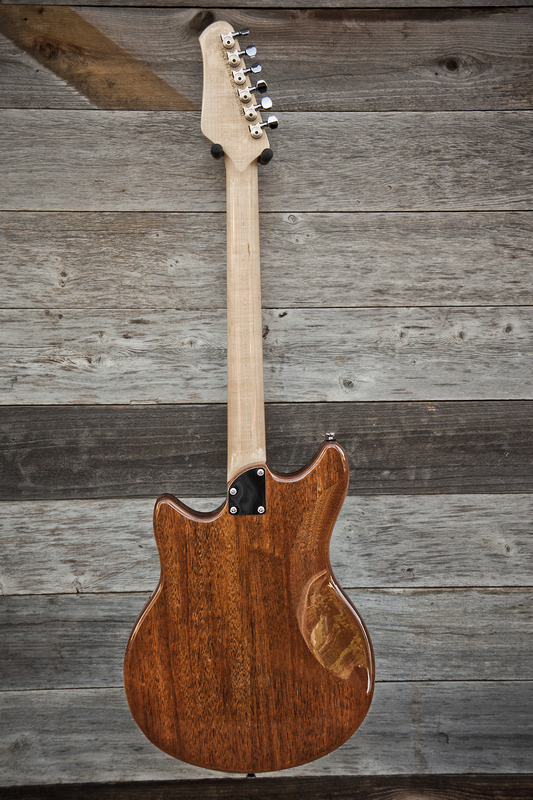 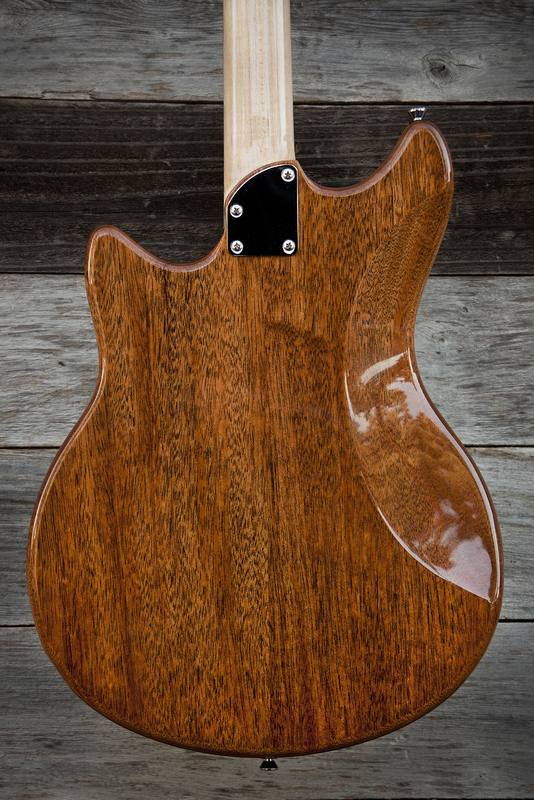 For sale is a brand new Jennings Guitars Catalina! 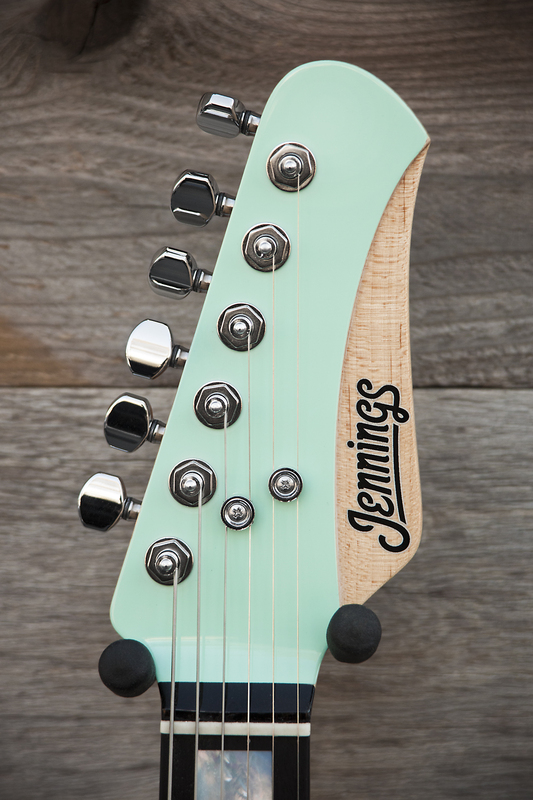 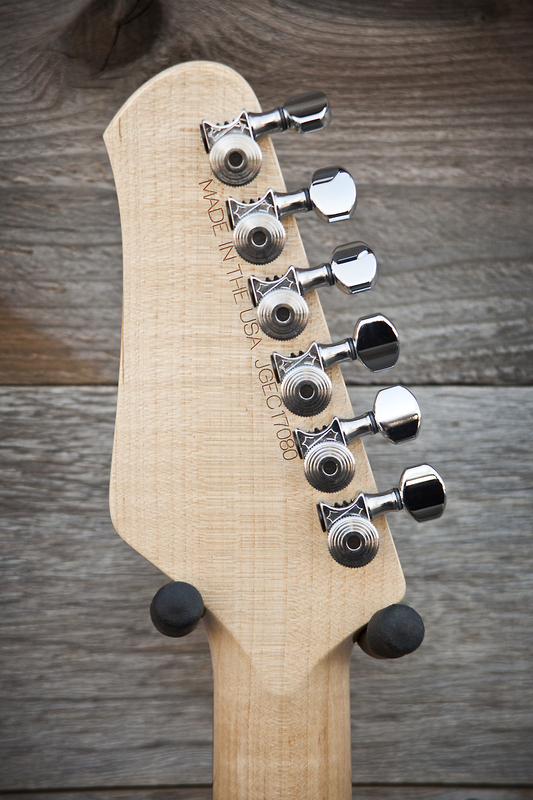 Neck- Maple neck with ebony fingerboard, white mother of pearl block inlays, and a nitrocellulose finish. 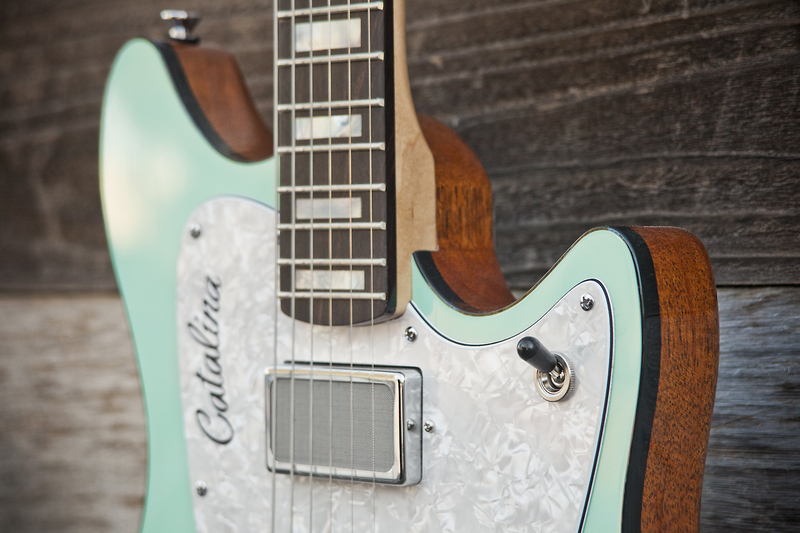 Body- 2 piece mahogany body with alder cap and surf green nitrocellulose lacquer finish. 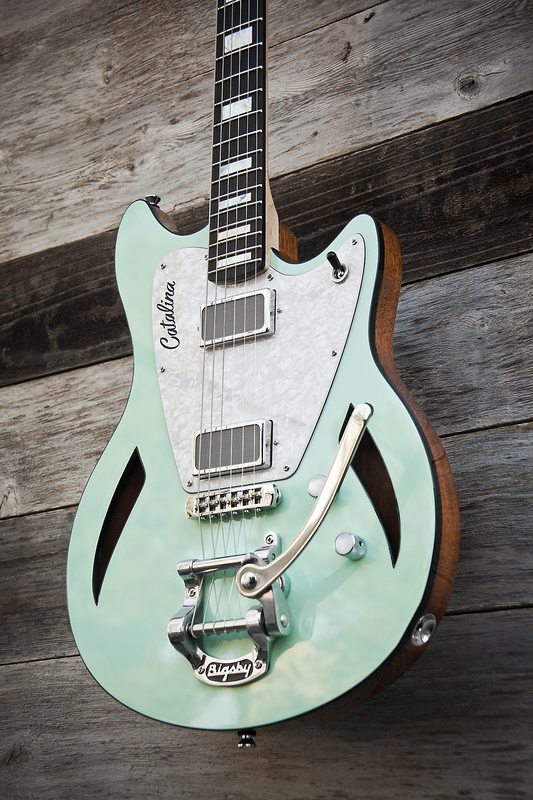 Bigsby vibrato and roller bridge.